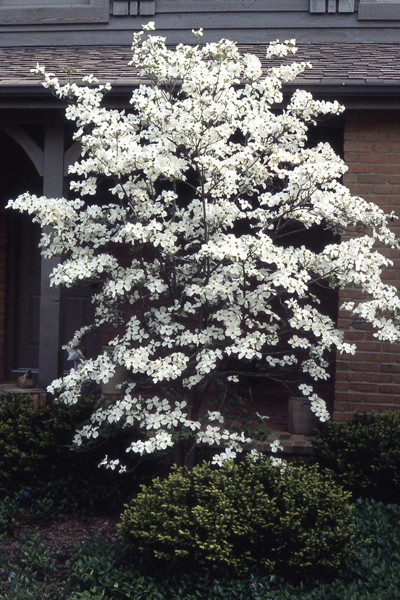 Has white blossoms in spring and bright red berries in fall and winter. A low branching tree that spreads horizontally and has a semi-rounded top. Does best in sun to part shade and does best in well-drained acid soil with sufficient organic matter. Mulch to maintain a cool, moist soil. Needs summer water. Fruit is a bright scarlet and liked by birds and other small animals. Tree has a 25’ spread and height.